I'm starting to learn that I don't have to answer the phone every time it rings. Now that we have caller ID, I can see who's calling before I even pick up the phone. If the call is from an 800 number or Caller ID is blocked, I'll often ignore it. OK, sometimes I'll ignore it. Other times I just can't help myself, and I'll pick the phone up anyway - only to have them hang up in my ear. Talk about annoying! Then I wonder why they bothered calling here if they weren't going to talk to me. It does not make me very happy at all. Today I heard about a new website called Annoying Callers.com, a database of phone numbers used by telemarketers and other annoying callers. You can enter phone numbers that have been calling you and find information about the companies using those numbers and see comments by other people who have received calls from those numbers. I can't wait to try it next time some annoying caller hangs up on me, or asks to speak to my husband during the day when he's at work. Once I find out for sure who's behind that number and decide that I do not want to receive any more calls from them, I can block those calls. Yes, I know I could have blocked them before (we have VOIP - I can block any number I want), but I always think, 'it could be important.' Probably not, but you never know. Annoying callers, you are in trouble now. Do you have high speed Internet yet? I can't imagine life without it. Either I would get frustrated and spend less time online, or I'd just spend more time online trying to do the things I want to do. If you don't have high speed, now is the perfect time to sign up, or if you just want to save money over what you're already paying, now is the perfect time to switch. Just by signing up for one of Charter's services, you will be automatically entered in the Charter Laptop-a-Day Giveaway. Charter is giving away 30 laptops, and you could be one of the lucky winners. Click that link and visit the Charter website to see what they have to offer and the specs on the laptop. It sounds like a nice laptop, but do the specs really matter when the most important thing is that you can get it for FREE? Just think how nice it will be cruising the Internet at top speed with your new Charter service and your brand new laptop. It will make doing homework so much easier, for those of you going back to school. It will make working from home easier, not to mention blogging and keeping in touch with your online friends. Just sign up for one of three great Charter services online – Charter High-Speed® Internet at $19.99/mo for 6 months, Charter Digital Home™ and High-Speed Internet at $69.98/mo for 6 months or Charter Digital Home™, High-Speed Internet, and Charter Telephone® at $99.97/mo. for 12 months. Pick the service that best fits your needs, sign up online, and you automatically get a free Shell gas card, and you're entered in the laptop giveaway. The first winner will be announced September 1st, and there will be one prize a day for the 30 days in September. The sooner you sign up, the more chances you have to win. Driving back from Palmyra (Jeffrey was driving) the other day I really liked the way these clouds looked. The lower ones looked so solid against the higher ones. They look like you should be able to just reach up and touch them, don't they? Just a little to my right, the edge of those higher clouds and some blue sky. A while back we decided to give the kids a certain amount of money every month and make them responsible for their own expenses - clothes, shampoo, makeup, stuff like that. Every couple of weeks I transfer money into their accounts, and they're supposed to keep track of it and pay for their own stuff. It sounds like a good way for them to get used to handling their own money and to get an idea of what things cost and that money does not grow on trees. Well, maybe not that last part, with money just showing up in their accounts. The problem with the whole system is that they aren't very good at keeping track of the money they spend. Especially Beth. I've also been adjusting the amount I transfer them sometimes - deducting for things like text messages or something I picked up for them when I was out shopping. And then I got busy on the calendar and got behind on reconciling everything. Now I have these odd amounts, and though I knew what I was deducting for at the time, now I'm either totally confused or it takes me a lot longer than it should to figure out what's been deducted, what's been paid for, and what I still need to charge them for. It's too much like running my own credit company, without the benefit of interest and late payment charges. As mentioned in my 7 Things post, I really don't like air conditioning. I think I would be able to tolerate it, if only people didn't seem to think that air conditioning and refrigeration are the same thing. Sure, turn the air on to get the humidity out and lower the temperature to a comfortable level. That's OK, but why do you have to try and freeze me out? When I go shopping in the summertime, I have to remember to dress warmly. Summer clothes just aren't practical. The people I go to church with like the temperature a lot colder than I can stand, and let's not even talk about movie theaters. Then again, let's talk about movie theaters. Last summer I forgot to take a sweatshirt when we went to see a movie. I was hoping against hope that it wouldn't be too cold in there, but of course it was extra cold that night. There was no way I would have been able to enjoy the movie, so I finally had Cory go out to the van (before the movie started) and get the Mexican blanket that we always carry in there so I could cover up and get warm. I wish I had heard of the Cabin Cuddler and had one of these. The Cabin Cuddler was designed for airplane travelers, to keep them warm in those refrigerated summer cabins and also to address the cleanliness and hygeine issues of all those blankets and pillows on the airplanes, the ones that have been used by you don't know who and cleaned probably never. Can we just say "Gross!"? I don't travel much, but I can see plenty of uses for this in real my life. I wouldn't have been able to share with Cory in the movie theater because the Cabin Cuddler is contoured for individual use. That's OK; I can be selfish. He just would have had to have his own. The Cabin Cuddler even has a pocket to keep your feet warm - because sandals just don't do it. The coolest (that is the wrong word, isn't it?) thing about the Cabin Cuddler, besides being contoured to keep every part of your body warm and being machine washable, is that it folds up neatly and fits inside its own tote bag with an inflatable pillow, and then the tote bag turns into the pillowcase. That sounds much more convenient and less bulky than that Mexican blanket! I'd love to have one of these in the back of my van so it's available whenever I need it. I could just grab the handy tote bag and take it in with me. Cory could have used one of these last year when he went on the band trip to Boston, too. He was supposed to take a travel blanket for the bus, but we didn't really have anything big enough to cover him that wasn't bulkier than he wanted to deal with. I don't think he ended up taking anything, and he did survive, but this would have been so much nicer. The Cabin Cuddler comes in two of my favorite colors, black and cranberry, and shipping is free if you order two or more. I can already picture a cozy winter day, all wrapped up in my Cabin Cuddler, reading a book. With the Cabin Cuddler you can turn the thermostat down and save money! I'll have to order black, because I'm afraid the cranberry will clash with my red couch. VistaPrint says that your budget should never force you to decide how many colors you can afford on your custom Brochures. I love that idea, because all those years we were putting together the school calendar, we never had the budget to use more than one color. Even one more color would have made a huge difference. Imagine if you want to put together a brochure to introduce and promote your company. You'll make a bigger impact and better impression with full color. VistaPrint makes it easy to create your own brochures. Start with one of their templates, add images and text. VistaPrint has over 70,000 images to choose from, or you can upload your own. If you've already designed a brochure on your own computer, you can upload the file for printing. There is a one-time fee for uploaded images and files, but you can use that image in future orders at no additional cost. VistaPrint lets you order your brochures in whatever quantities you need, and even in small quantities, offers the best value. Printing isn't quite the involved process it used to be, so the cost is lower, and VistaPrint believes in passing the savings on to their customers. For even more savings, enter the coupon code FreeBrochures08 to get 25 Free Brochures with your order. Before she left for work yesterday, Beth said her computer was messed up. Some antivirus program had suddenly appeared and started scanning her machine, telling her that she had all kinds of infections. After she left, I had to go into her room to leave some of her laundry on the bed, and her computer was repeatedly restarting itself - blue screen, restart, blue screen, restart... - so I turned it off. The weird thing was that, as I turned it off, I momentarily saw her desktop and running programs. That's not normal. Last night I remembered that I wanted to turn the computer back on and see how it acted. It booted up, and immediately this program (Antivirus XP 2008) started up and started scanning, saying she had multiple infections. So I started searching for this program online and found that it is definitely a problem. It installs itself without permission, scans your system, and tells you that you have a bunch of fake security risks that can only be removed if you purchase a license to this program that you didn't ask for in the first place. Real nice, huh? It also won't let you uninstall it in the usual way. The blue screen thing? Fake. If you attempt to scan your computer with a real program, this one doesn't like it and tries to trick you into thinking your computer is really messed up. OK, if you have this stupid thing on your computer, it is really messed up. It really needs to go away. I downloaded the latest version of Spybot Search & Destroy and ran that. The bad program repeatedly tried the blue screen thing while it was scanning, but Ctrl-Alt-Delete pulled it out of it. Spybot found the Antivirus XP 2008 as well as a whole bunch of other stuff, removed most things, and had to restart to remove the rest. So I restarted, Spybot scanned again, the antivirus thing tried the blue screen a couple times, but by the time Spybot was done it didn't list Antivirus XP 2008 in the list of things found. It was past my bedtime by then, so I'm still not sure if it worked. I hope so, because some of the directions for removing the stupid program are just too complicated. The whole thing just makes me mad. Seriously people - spend your time and energy on creating a good program that people will want to buy instead of on figuring out how to trick them into needing your program, and having to pay you for it. That's just plain mean. Practically every time we're in a store together, Jeffrey wants me to look at watches with him. Do I like this one? Do I like that one? I must admit that a lot of times I don't like the ones he likes. So he keeps looking. Maybe I'll surprise him by linking him to these Movado watches at TheWatchery.com, and I'll ask him which ones he likes. He'll be surprised because I don't usually pay any attention to watches. I own a couple, but I never wear them, and the batteries are dead. When I'm at home, I have clocks on the wall, and when I go out, I take my cell phone. Who needs a watch? Jeffrey and Cory, I guess. Neither one of them likes to leave the house without his watch, and Jeffrey wears his all the time, just taking it off to go to bed. He tells me that's normal. I suppose his watch isn't just for telling time. It's an accessory. It's jewelry, and a reflection of who he is. There are some pretty nice looking Movado watches at TheWatchery.com, at significant savings off the list price. They also give you a free watch with purchase and free shipping. I'm having a hard time figuring out which one(s) I like best. I can just see it now - we won't even have to leave home. Jeffrey will be sitting in his chair, looking at watches on his laptop and asking me which one I like. He's already doing it with motorcycles and computers. Why not watches? He may just find the one, or actually the two, since he'd get a free one, too. I just logged into my Google Analytics account and noticed that it stopped tracking everything the day I switched to the New Blogger. What is that about? I copied the code into a widget, but that doesn't seem to be working. So now I deleted that widget and copied the code directly into the html. I hope that works. Is anybody using Analytics with your blog? How did you make it work? I went looking for Analytics widgets gadgets, but they all said they were broken. I'm starting to seriously think about LASIK, at least scheduling a consultation to see if it would work for me. I've been wearing glasses since sometime in elementary school, wore contacts for a short time after Jeffrey and I got married and before we had kids, and have been wearing glasses since. When I think about laser eye surgery, though, I worry about the cost, I worry about complications and side effects. I wonder if it's the right thing for me. I keep coming back to the fact that it would be so nice to be free of the glasses, not to have to put them on first thing in the morning, and still be able to see. I realize that Vistaeyes laser eye surgery Melbourne is a little far away, and I will need to find a reputable clinic a bit closer to home, but their website has some really good information. They have information on the risks involved, types of procedures, basic information about LASIK, and a simple explanation of how your eyes work and how that affects your vision. If a Vistaeyes clinic is in your area, you can schedule a free consultation online. They'll take care of you from the first time you contact them to your last post-operative exam, keeping you informed every step of the way. I made Chex Mix today, and when Cory came up from the basement and saw it, he was ready to dig in. I had to 'slap' his hand away because, if he gets started eating it, there won't be any left for the rest of us. We can't have that, can we? I had to search for the Chex Mix recipe online (gotta love the Internet!) and the first one I found only gave microwave directions. I suppose it would be fine, but I just think things taste better cooked in the oven. So I finally found the right recipe. Instead of mixed nuts, I use party peanuts (the kind with no skins) and instead of bagel chips I use Cheerios. Did the 'original' Chex Mix recipe have bagel chips? I certainly don't remember that. Anyway, one batch of Chex Mix made, cooled, and containered. I will just have to give Cory a little bit at a time if I want to have any for myself. It really has been a while since I took a bubble bath, or any kind of bath for that matter. Showers are just so much quicker, and I don't take the time to relax in the tub. With two teenagers in the house, you'd think I'd need to more often, but I don't. It's like showers are the norm, and baths are a luxury. When we were building our house, I would have loved to put a whirlpool tub into our master bathroom. Again with the luxury thing, it just cost more than we had to spend at the time. So we have a basic one piece tub and shower surround, and it works fine. Still, I like the idea of having a whirlpool tub and maybe one of these days we can visit the bathtubs store at Simply Bathtubs and pick one out. They have all kinds of them - drop in, free standing, and clawfoot. Did you know you could buy a clawfoot whirlpool tub? I didn't until I visited this site. I'm not sure clawfoot tubs are my style, but I think they're really nice. Probably our biggest question if we ever decide to get one of these will be what kind of tub will fit in our bathroom and how are we going to get it in there. You can search on the site by style, length, and price, and, if you still have questions, the people at Simply Bathtubs are ready to answer questions by phone or email and to give advice about getting the right bathtub. I'm sure they've helped other people with the same thing and helped them figure out whether they wanted a drop-in tub or whether free standing bathtubs would be a better fit. Simply Bathtubs has many different sizes and styles of bathtubs. Their prices are supposed to be the best possible. All the tubs are listed both with the list price and the Simply Bathtubs price, so you can see how much you can save by ordering from them. And shipping is free, every day. Even with these savings, I'm sure it will be a while before we replace our tub. Hopefully we won't need to be looking at the discount walk in bathtubs by then, but Simply Bathtubs has those, too. I stole this from Frigga at Any Apples, but she stole it first, so it's OK. It just looked like fun. Do you like the weather today? Loved it! What was the last television show you watched? Wanna Bet? Do you pay attention to celebrity gossip? No. Have you ever been hunting? No. What is your favorite restaurant of all time? I'm having a really hard time with this one. I'm usually disappointed in restaurants, because I know I could have done better at home, for less money. I'm thinking of a restaurant we used to go to in Champaign, where you got to cook your own steaks, but I can't remember the name. Jeffrey cooked me the perfect steak there - blackened on the outside and red on the inside! Do you get tired of hearing about celebrity divorces? Yes, and then especially tired of hearing about them moving on and marrying someone else. Yeah, like that's gonna work. What are your plans for the weekend? It's only Tuesday. I'm already supposed to have plans? Have you ever been to a casino? Once, and I couldn't figure out why anyone would want to be there. What is your favorite type of dog? I don't have one. What is the one tv advert that annoys you the most? Someone else mentioned this, and I'm going to agree - those V8 commercials where people get bonked on the forehead for not eating their vegetables. Hello, if they had the V8, they wouldn't need to eat the vegetables. Isn't that what the commercial is trying to say? Would you rather be smart or beautiful? Good thing I don't have to choose! I mean, smart. Do you have any irrational fears? Probably, but if they're my fears, then they're not irrational to me, are they? How much would you pay in ransom if someone stole your pet? Nothing. Have you ever eaten green eggs and ham? No. Ever walked through a fast food restaurant drive thru? Yes, KFC with Jeffrey way back when! Wow - that really was a lot of questions! Did anyone make it all the way to the end? via Daylife Announced this morning - Misty May-Treanor, who, with her partner Kerri Walsh, just won her second Olympic gold medal in beach volleyball, will be getting a new partner. No, not a new volleyball partner, a new dance partner. That's right, the stars for this upcoming season of Dancing with the Stars were announced on Good Morning America, and Misty is among them. Misty's new partner is Maksim Chmerkovskiy. I'm looking forward to seeing what they do on the dance floor! That mirrorball trophy will go nicely with those gold medals. You may now resume your regularly scheduled life. Congratulations to Team USA for winning 110 medals - 36 gold, 38 silver, and 36 bronze. If someone finds or knows where to find the montage video they played on the TODAY show Friday, the one with the song What if It All Goes Right, please let me know. I really liked that one. Melinda Zook tagged me, and you all know how good I am at keeping up with my tags, right? This is actually pretty good - she just tagged me Tuesday, and I'm already doing this. You should be really proud of me! * Share 7 facts about yourself on your blog, some random, some weird. * Tag 7 people at the end of your post by leaving their names as well as links to their blogs. * Let them know they are tagged by leaving a comment on their blog. Is it random enough to say that I'm really bad at doing the memes I'm tagged for? I mean, can that count as one of my seven, since I already mentioned it? Well, it's my list so I'm counting it. I'm pretty sure I'm going to suffer Olympics withdrawal this week. When I was in college, I didn't write letters home very often, and my mom really hated that. I just didn't have time to write enough to be worth the stamp it took to mail it. How I wish we had email or blogging back then! Even with email, I don't keep in touch with anyone very well. If they really want to know what's going on in my life, they have to read my blogs. I do not like air conditioning. Other people seem to think that air conditioning and refrigeration are the same thing, and I freeze. I want to wear my shorts and sundresses in the summer, and air conditioning usually means I have to cover up with a sweater. Sweaters are for winter! While it is a bit surprising to those who know me that I like Tillie as much as I do, I am not going to turn into a crazy cat lady. I don't know where Cory gets such ideas. I once attended an Olympic soccer game. It was in 1984 at the Rose Bowl. None of us actually knew what was going on except for our friend from Jamaica who did his best to explain everything. I don't remember who was playing except that the team who won the game went on to win the gold medal that year. And that's 7! I know the rules say I'm supposed to tag 7 people, but I'm just going to leave it up to you. If you feel like doing this on your blog, leave me a comment, and I'll tag you, or link to your list of 7, actually. I saw this on Misty's blog. She morphed right into Julia Roberts! So, since everyone is always telling Beth that she looks like Julia Roberts, I had to try it. Julia Roberts didn't come up at all. Maybe it's the picture I uploaded? Beth keeps talking about buying her own car. She's been looking and trying to figure out what the payments would be and what she thinks she can afford. Right now she has it pretty good, because she gets to drive one of our cars. We pay her car insurance, as long as she maintains a B average in school, and we pay for maintenance and repairs on the car. If she buys her own car, she'll have to pay all that. The only thing she really has to pay for now is the gas she puts into the car, and actually she's not doing a very good job of keeping track of that and paying for it. When she started driving, we got her a Discover card on our account, so she would always be able to pay for gas and not get caught without gas and without cash to pay for it. Also, we get 5% back on the gas purchases. Probably not the best idea because using plastic just doesn't feel like spending real money, and even though she knows she's responsible for paying it, she just doesn't keep track and spends her money on other things before the bill comes due. So, basically, she owes us quite a bit of money for the gas she's been putting in the car. How does she think she can actually afford a car payment, insurance, registration, and maintenance on her own car? We told her to figure out how much it will cost and start paying herself - putting that amount into her savings account every month. Then she'll get into the habit of paying it and figure out how much she can really afford, before she gets tied to a car payment. Besides, she's not 18 yet and couldn't get a loan, and even though we love her, we're not risking our credit score by co-signing a loan or whatever she thinks we should do. Not without some demonstration that she really can and will handle the payments. Walking down the path and through the trees, looking up. I know the sky is up there somewhere! I changed some colors, added my own pictures, and came up with what I have now. FinalSense has so many different templates, it's easy to find one you like, just the way it is. Choosing one is the hard part. I'm up past my bedtime again, but Misty May-Treanor and Kerri Walsh are playing for the gold medal right now, and I can't miss that. Those girls are so completely amazing. Kerri will do something awesome, and then Misty will, and there's just no way to decide which one of them is better. They are just the perfect team. Let's go, girls! Gold all the way! Gold - Gold - Gold - Gold!!!!! I heard on the news recently that, if trends continue the way they are, nearly every American will be overweight or obese by 2030. That's pretty scary. What's also scary is that so much emphasis is placed on losing the weight, more so than on being healthy. It's Not Your Weight That Matters--It's How Much of Your Weight is Fat. Normal weight people are not necessarily healthy, especially if they aren't physically active. They can still be at risk for high blood pressure, cholesterol, and blood sugar. I'm really glad that, when Jeffrey decided to lose some weight, he also decided to start walking and working out. It not only helped him with the weight loss, but I know he's in much better shape, and getting better, and his cholesterol went way down! Yes, he looks better, but the main thing is that I want him to be healthy because I want to keep him around for a long time. It’s not how much you weigh, it’s how much of your weight is fat. Simple test determines your fat content, health risks. Carpinteria, CA – August 20, 2008 - Within the past week, the American Heart Association, Journal of the American Medical Association and the American Cancer Society have cited new studies that seem to indicate the deteriorating health of Americans may not be related solely to weight--but to declining overall fitness levels. While it is virtually impossible today to remain oblivious to the importance of exercise for staying healthy, there has been a marked emphasis on “weight” versus “fitness” in western society’s perception of health and wellness. Consequently, many people of “normal” weight continue to be uniformed of the fact that they may still be at risk for elevated levels of blood pressure, cholesterol, triglycerides, and blood sugar if they lead a sedentary (inactive) lifestyle. It has long been known that there are adverse effects associated with physical inactivity. Adults who are less active are at greater risk of dying of heart disease and developing diabetes, colon cancer, and high blood pressure. Illnesses related to physical inactivity and poor diet cause at least 300,000 deaths each year in the U.S. Body mass index (BMI), which is calculated through a height-to-weight ratio alone has been the standard method of measuring a person’s “fatness” or “thinness” since 1950’s and 60’s, when obesity was becoming a noticeable medical concern in the U.S. As a result, being at a “normal” BMI weight is not necessarily a reliable indicator of health. In fact, physically active individuals who have more lean tissue than their sedentary counterparts, as well as taller people, often have a BMI that classifies them as obese when they actually have healthy body fat levels. Likewise, and more dangerous, slender or thin but inactive individuals often have a BMI that puts them within normal, or even underweight, ranges when they actually have high levels of body fat. Because of the overemphasis on BMI that has developed over the last few decades, these “skinny fat” people often remain unaware that they are at an elevated risk for developing diseases typically associated with obesity until they are already facing health issues. According to the International Sports Sciences Association, an organization that has educated and certified personal trainers for more than 2 decades, using a quick but reliable method of measuring various body circumferences (e.g. neck, thighs, upper arm, waist, hip) to assess total body fat better determines one’s body composition (fat vs muscle) than BMI alone. Measuring circumferences also provides personal trainers and clients with a very easy way to gauge clients’ progress. The ISSA believes that personal trainers and health clubs should be utilizing circumference measurements as another tool to assess body fat because trainers can achieve proficiency with a few hours of practice and when done properly, the results can be replicated. Patrick Gamboa, ISSA Vice President of Education, cautions that a person’s true fitness cannot be assessed by body measurements alone. True fitness must also take into account strength, aerobic capacity and flexibility measurements to most accurately predict longevity. Most gyms offer this type of assessment for free to their members. Since 1988, the International Sports Sciences Association (ISSA) has provided certification and continuing education to more than 100,000 wellness professionals in 85 countries around the globe. The ISSA offers a core personal training certification as well as eight additional specialized fitness certifications. 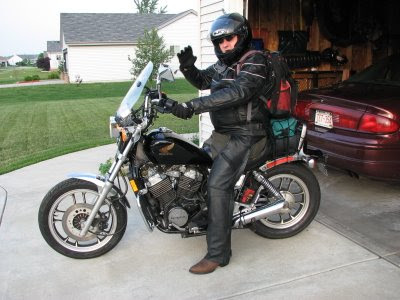 Jeffrey has been riding his motorcycle back and forth to work this week, every day so far. Still he must not be getting enough of riding the bike. Cory drove me around while I did some shopping today. I bought important stuff like lettuce and nectarines and milk. I also bought some shorts at Walgreens. I bought a couple pair of them last year for $3 each, I think, but now they are on clearance for 99¢. So I bought 3 pair. Then, after I got home and tried them on, I realized I grabbed the wrong size. For some reason I thought I needed a small. Some things I really do need a small, but these smalls are just too tight on my rear end. I know I would not be comfortable wearing them, without wearing a long, baggy t-shirt. When I mentioned this, and how, at that price, they would probably all be gone by the time I got back over there, Jeffrey offered to go exchange them for me. He did ask Cory if he wanted to drive him over there, but Cory didn't. So Jeffrey put on his jeans, boots, leather jacket and helmet, and rode the bike to Walgreens to exchange my shorts. Sweet, isn't he? Yes, he is sweet, but I think he really just wanted an excuse to ride the bike. In honor of these Summer Olympics, GiftCardLab is offering official and collectible 2008 Olympic Visa Gift Cards. That's right, gift cards with all your favorite Olympic athletes on them - Michael Phelps, Nastia Liukin, Kerri Walsh, Jonathan Horton... They're all available, but only for a limited time. These are definitely better than your generic run-of-the-mill gift card. I bet you're thinking of all your Olympics obsessed friends and family and trying to figure out which gift cards to get them, right? Or maybe which gift card you want for yourself. Will it be Michael? Remember that yummy all purpose sauce from Country Bob's? The sauce that is amazing on grilled chicken and burgers and that makes really good meat loaf? If you haven't tried it yet, you should, and now I have even more ways to use it because today I got this gorgeous Country Bob's cookbook in the mail. I really wasn't expecting that. At all. There are so many great looking recipes in this book. I don't know what to try first. You can still get a coupon for a free bottle of Country Bob's All Purpose Sauce if you haven't done it yet. Image by midorisyu via Flickr They had a story on the Olympics last night, saying that they realize watching the Olympics is interfering with everyone's sleep. I guess we're lucky that it only lasts a couple weeks, right? Of course, the Olympics aren't the only thing that interferes with getting a good night's sleep. Having teenagers seems to be interfering with our sleep, too. Either Beth works until 10pm, and then has to drive home, or she's over at Tim's and not wanting to come home until the last possible minute. Try explaining that, even though it's summertime and she gets to sleep in, the rest of us are still getting up at normal time. This week I may be staying up watching gymnastics or something else important, but most nights I (we) want to get to bed before 11pm. And I'm just not good with going to bed until I know she's safely home where she belongs. Those of you still buying diapers and crib bedding may think you're not getting any sleep now, but just wait until those precious babies are teenagers. Parents don't get to get a good night's sleep until those kids finally move out. At least that's my theory. A twitching Tillie tail, to be precise. I'm not sure what Jeffrey is talking about - something Olympics-related it sounds like. And, speakng of the Olympics, did you see Misty May-Treanor and Kerri Walsh kick those Brazilians' tails? Those girls are absolutely amazing! Since I just now made the change from Classic Blogger to the New Blogger, I suppose the next question is when am I going to make the move to a web hosting company. Obviously I'm not one to make any major moves quickly. I am looking at the options, though. I like comparing what I get for what price, but I've also come to realize that customer service is a big part of the whole package. If I'm going to jump into something, I like knowing there will be someone to help me if I have any problems. Network Solutions web hosting has award winning customer service. They offer 24/7 technical support at no extra cost. That's good to know, because I hate being charged for technical support - hate it. Luckily I haven't had any major problems with Blogger so that I needed any kind of technical support because, does Google even do that? I guess you get what you pay for, huh? Network Solutions doesn't offer free webhosting, but they do have several packages and prices, so you can get just what you need. Along with the hosting, you also get a free domain name, email boxes with spam and virus protection, free website building tools, and more. Standard web hosting starts at $9.96/month with an annual purchase. I'm not ready to make the change yet, but I'll keep Network Solutions on my list. I added some pictures to the header. It is more fun with pictures, isn't it? Probably I should have been doing something more constructive with my time, like clean my house maybe, but now I have pictures in my header. I've also been playing around with the template on one of my other blogs, and I realized the New Blogger does not work the way I thought it did. I thought the point was that you could change things easily. Well, maybe some things are 'easier' but the fact that changing your template means that a lot of your widgets get deleted and have to be rebuilt and replaced just seems to defeat the whole purpose. The html widgets are easy enough, because all I have to do is paste the html in and save, but what about those link lists? Having to paste in site name and link separately, over and over? Not my idea of fun. Is there an easier way? I finally switched to the 'New' Blogger and a new template. I like the layout, but I'm not sure about the 'New' Blogger and all those widgets or gadgets, or whatever they're calling them now. I think I finally got it figured out, but I feel like I have less control now - even though I can edit the html, it doesn't act like it's going to work. Nothing significant in that number, it's just that I always miss the milestone posts. I didn't even know I was supposed to be paying attention or that there was any significance, until I had passed way over my 100th post. So, I thought I'd acknowledge post #500, but I missed that one, too, and before I knew it, I had passed #1000. Who knew I had that much to say? I don't really have much I want to say about progesterone, though - just that I better save this link. Since I missed post #100 and #500 and #1000, what's the next significant post I should try to catch? Does it really matter? Black dragonfly on yellow. At least the dragonfly posed for a picture, even if my daughter won't. Camera Critters is a fun weekend meme hosted by (the dragonfly obsessed) Misty Dawn.Visit the Camera Critters headquarters and join in. So, Beth is a senior this year, and someone has convinced all these kids that the thing to do is get senior pictures taken. Never mind that she 'hates' school and can't wait to get out of there. Beth had to have senior pictures, too. Now, I have a camera. It's digital. I can shoot lots and lots of pictures and probably come up with one or two decent ones, at least. I said I'd take her picture, but she would have nothing to do with that. And when Beth makes up her mind, whether she's right or wrong, there's no budging her. She was not going to cooperate with that at all, even just to see what we might come up with. So, she made an appointment at Glamour Shots - makeup, hair, photo shoot, and a coupon for 48 wallets for $48 with any purchase. She even took her friend Kayla along so they could have some pictures taken together. All that took about 3 hours, while I waited, and waited. At least I had a book with me, so I did get some reading done. Then, we had to wait some more before we could look at the pictures. They downloaded the pictures to the computer and put them into a slideshow, with music even, so we could look at them and decide which ones we liked. Then she added everything up, and it came to $2300.oo or so, (with 19 poses selected). Nobody in their right mind would pay that much for pictures! And nobody really needs that many poses or that many pictures, seriously. Anyway, we narrowed things down, and it still cost way more than I really wanted to spend, but I ended up buying the pictures anyway. Kayla said it was cheaper than what her pictures are going to cost, and she isn't getting as many. They really did turn out nice. We got 4 different poses, and one of those was of the two girls together, a 5x7 for each of them. I've been doing some looking online tonight (yes, I should have done this before but I didn't) to get an idea of what senior pictures cost, and, from the pages that actually gave some prices, I guess we came out OK. However, I really would rather have taken some myself, and I see I'm not the only one who thinks so. Here's a great article on do-it-yourself high school senior portraits. Yeah, just what I said - if only that daughter of mine wasn't so stubborn hard-headed picky opinionated determined. Hopefully next year Cory will let me take his pictures. If we don't get anything he's happy with, then we can look for a place to get his pictures taken - or just buy him a plane ticket and send him to Oregon so his uncle can take the pictures. I really liked these clouds Wednesday evening. There's something about big, white clouds that I just can't resist. Look at the size of those things compared to the houses! Two things I need to do - get a haircut, and get new glasses. I keep putting it off because I don't know what to do with my hair, and I know new eyeglasses will be expensive. That is, they can be expensive if you buy them at the eye doctor or vision place. I've just recently heard about Zenni Optical, and I really want to try ordering glasses from them. They have glasses starting at $8. Can you believe that? $8. That includes single vision lenses and the frames. Shipping is only $4.95, so for a total of $12.95, it's certainly worth trying them. I could grab a couple pair for way less than I'd have to pay elsewhere. The shipping is still $4.95, no matter how many pair you order, so it's an even better deal to order several pair at once. The reason Zenni Optical can sell glasses at such low prices is that they sell only their own glasses, directly to the consumer, cutting out the middleman. I'd say it's definitely worth looking for anyone who needs glasses but doesn't want to spend an arm and a leg. You can also add extras, like sunglass tinting and anti-reflective coating for an additional $4.95, but all Zenni Optical glasses, even the $8 ones, come with anti-scratch coating, UV protection, lens edge polishing, and more. You can find the full list on their home page. You can also get bifocal and progressive lenses, the same things you'd find at the eye doctor, only less expensive. Zenni Optical was recently mentioned on the Clark Howard Show, and you can read what some real people who have tried the Zenni Optical glasses think of them. It didn't cost $216 to register the kids for school. It cost $310. Actually, it would have been right around the $200 mark, except that I ended up paying for a parking pass for Beth and going ahead and paying for her yearbook. $50 for a semester parking pass, which Beth is supposed to pay for. She doesn't think she should have to pay it, but she's driving because she's signing up for work release and going to leave school early every day, hopefully to work. She's tired of 'working all the time just to pay for the gas to get to work' and I figure this falls into the same category. In the end it'll be cheaper than having to pay a few parking tickets. $60 for a yearbook, since it's her senior year. Even though she 'hates' school, I guess she needs something to remember it by. Along with the school fees associated with the beginning of school, there's also the cost of buying school supplies. I heard on the news the other day that the average family spends $500 on school supplies each year, and that doesn't count school clothes. What? It seems like we're spending quite a bit on supplies every year, but there's no way we've ever gotten close to $500. No way. Still, we end up buying quite a few supplies. In elementary school, the kids needed pencils and crayons, markers, folders, notebooks, and glue sticks. Now that they're in high school the supply list is a little simpler - pretty much notebooks, folders, pens and pencils. Not quite as much fun as when they were little, is it? We also used to design fun labels for all the school supplies, with a cute picture, name, grade, and teacher's name on them. Then the kids got to label all their school supplies. We've kind of gotten away from that, and they usually just write their name in their notebooks and folders. Maybe the kids are too grown up for those cute labels we used to make, but they still need to have their names on everything that belongs to them. Things in high school have a tendency to become someone else's property if they're not clearly labeled. Perhaps one of these DYMO label makers would be useful. They're small, portable, and easy to use. The kids could make labels for their notebooks and folders, and there would be no question who they belonged to. Besides, labels are more fun than just writing your name. There are some fun ideas and suggestions for getting ready to go back to school on the DYMO website. One helpful suggestion is not just to label the notebooks and folders with the kid's name, but also with the name of the class that notebook is going to be used for. I can see that being helpful, so the kids don't accidentally take the wrong notebook to class. Once we've got all the new school supplies labeled, I can use the label maker to label all the new File folders I need to keep track of our bills. My file drawer is too full, and I need to clean it out. While I'm at it, I want all new folders with easy to read labels. It's amazing how much more organized I can be with a good system. We could even make labels for Beth's clothes bins, so she knows what is where (when it isn't on the floor) and it's easier to find. And I could label stuff I put in the freezer, and... I can just see labels on everything! I've got to register the kids for school today. I was filling out the paperwork this morning, and I had to stop and think, and double-check. I had to fill in the student's name and grade on each sheet. Grade 12. Grade 11. Seriously? How did that happen? It seems just yesterday they were cute little things starting kindergarten and first grade. Registration shouldn't be too difficult this year because they sent the paperwork ahead of time, instead of having to pick it up and fill it out there. Both kids need to get their schedules finalized. Every year Cory has to get them to add Jazz Band to his schedule because they leave it off for some reason. This year I watched him fill it in on his schedule, and still they left it off. Beth has to figure out whether she's graduating after first semester or going to be able to take some classes at WCTC through the Youth Options program. I hope she gets to take the classes, because that means at least some of her schooling is paid for. The thing that always bothers me is that there's no list of fees or even an idea of what it's going to cost me. The secretary just adds up this, that and the other thing and gives me the grand total. I did look it up, and last year it cost me $216, so I guess I can figure somewhere around there. I guess overall that's not so bad, right? I spent a while this afternoon cutting out coupons. Mostly we just get the Sunday paper for the ads and the coupons, but I hadn't cut them out in several weeks. One of the things I hate most is buying something and then realizing I had a coupon for it at home. Every little bit helps, and I'm all for saving as much money as possible. The same goes for using online coupons. I love shopping online because of the convenience, and oftentimes the price is better. I'm especially happy when I get free shipping, too. Still, that's not good enough if there's any possibility of saving even more. Did I mention that I'm a little obsessive, and cheap? Yep, that's me. If there's a coupon code, I want to use it. I was even excited when I found a code some Micro SD cards I ordered were $9.50 each instead of $10 each. Since I ordered 4, that meant I saved $2. Some people might not think $2 is much, but that's $2 that I can use for something else, like gas! Or put it in the bank and save it for later. See, any coupon is a Just My Size coupon! I'm happy with the little ones, and I'm even happier with the big ones. Savings.com looks like a helpful site for finding online coupon codes. Members find the coupons and rate the coupons, so it's easy to see which coupons are the most useful and popular. It's easy to search by merchant or category. I'll be checking this site next time I'm ready to buy something online. These guys kept me up too late last night. They were amazing and so much fun to watch. Exclusive Summer Olympics news & widgets at NBC Olympics.com! I especially like the swimming, diving, gymnastics, and beach volleyball. Right now I'm sort of ignoring tennis, but I do have it on. Today I also watched some water polo and a really strange sport that I think is called handball. It kind of looks like soccer, except that the players can pick the ball up, toss it around, and throw it into the goal. I just heard that Michael Phelps has reached his limit of MySpace friends, so I guess it's too late to be one of his friends. Bummer! He's so awesome, and his dog is such a cutie, too. Since Beth went to Florida with Tim and has been talking about all the fun things they did, I've been thinking it would be fun to go back to Florida. Along with those great Florida beaches on both sides of the state, there are also so many things to do in Orlando. Our favorite place to visit was Sea World, but we also enjoyed Disney and Universal Studios. It seemed like kind of a waste, but Tim's mom took them to Universal Studios when they were visiting. I say a waste because Beth wouldn't ride any of the fun (read scary) rides. Tim had to go without her on several of them. I remember the last time we took her there - she was 1. So I ended up going on at least one ride by myself because she was too little. Then when we went back to Florida when she was 6, and Cory was 4, we took the kids to Disneyworld. The Pirates of the Caribbean ride scared them. They only liked the It's a Small World ride, which seriously is enough to make an adult's head explode. Maybe we should have looked for things to do in Las Vegas instead. Because everyone likes different things, it's important to plan your vacation ahead of time, so you get the most out of your limited vacation time and everyone gets to have some fun. One of the easiest ways to do it is to sign up for the Trusted Tours & Attractions newsletter. Each month you get informative, useful, and practical articles, travel tips, and money saving deals. Sign up now, and you'll be entered to win a $150 Magellans gift certificate. Last month, they were giving away a $150 iTunes gift card, and before that a camera, so besides great online travel guides and savings on attraction tickets, they have chances to win some great prizes, just for letting them help you plan your next vacation. We could have visited Madame Tussauds in Las Vegas.